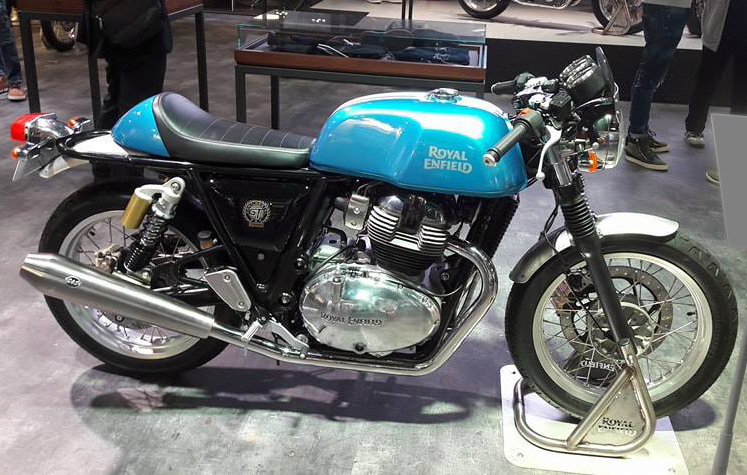 The new Royal Enfield Continental GT 650 twin in Black Magic color. 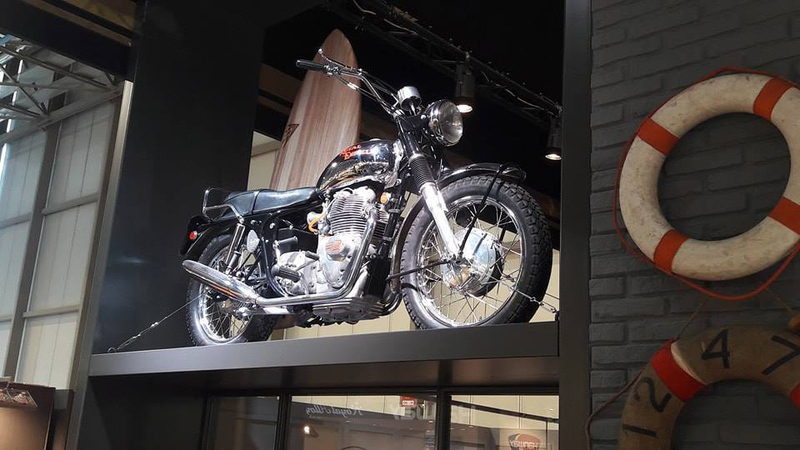 UPDATE: Royal Enfield North America confirms it will have one each of the new Interceptor 650 twin and Continental GT 650 twin at the International Motorcycle Show this weekend, Nov. 17-19 in Long Beach, Calif.
"The Royal Enfield Owners Club had great moments at EICMA. 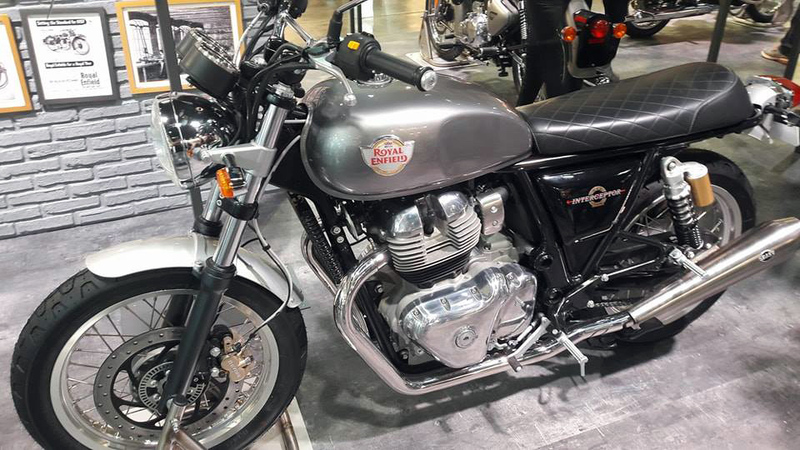 Eleven members of Greek branch and two for the British," Andreas Papadakis wrote me after the international motorcycle exposition last week. 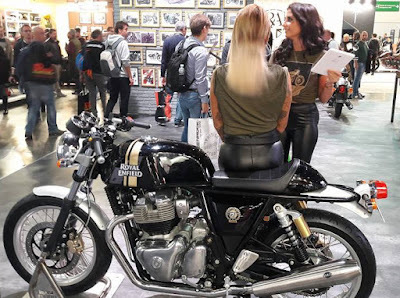 The Milan, Italy event saw the unveiling of the two new Royal Enfield twin-cylinder motorcycles. 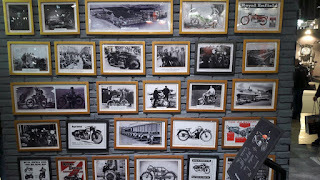 "The REOC was the only Royal Enfield Club with an official team," Andreas noted. 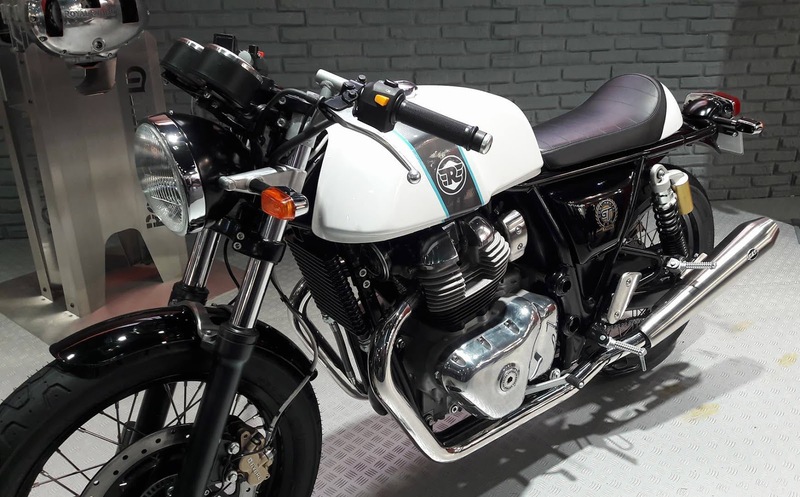 He was kind enough to provide a collection of photos of the new Royal Enfield Interceptor 650 twin and Continental GT 650 twin. They are among the best I've seen. 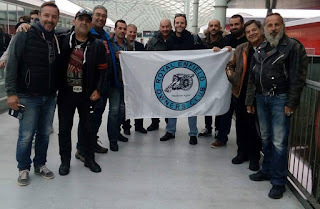 My thanks to the REOC Greek branch for sharing them. The Continental GT 650 twin in Sea Nymph color. The Continental GT 650 twin in Ice Queen color. 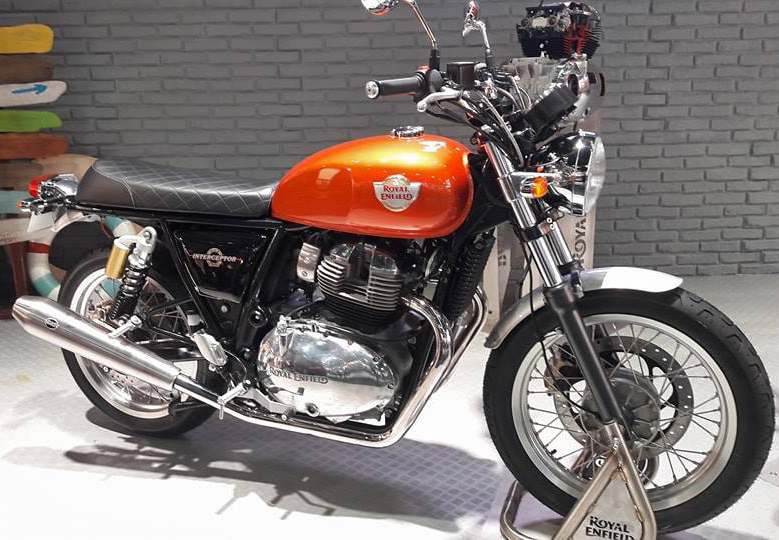 The Interceptor 650 twin in Orange Crush color. The Interceptor 650 twin in Silver Spectre color. An original Royal Enfield Interceptor of the 1960s towered over the display. 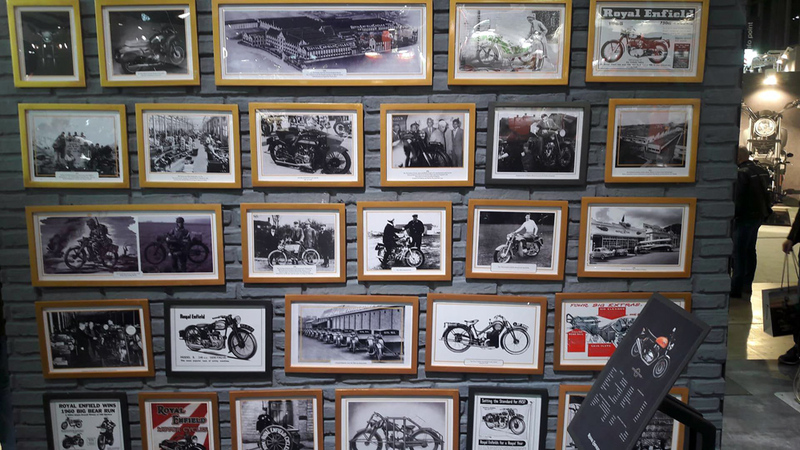 Wall of photos recalls Royal Enfield's long history. 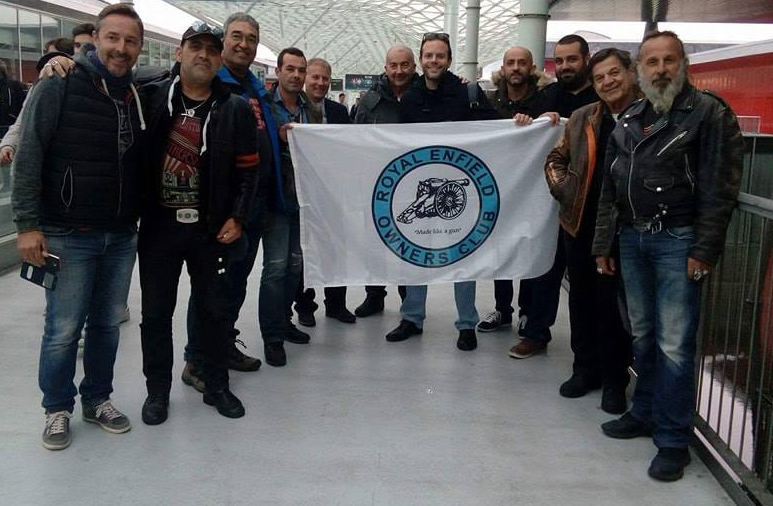 REOC Greek branch shows the club flag at Milan. 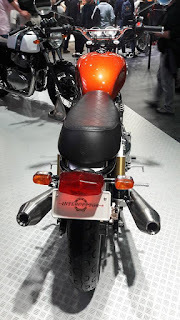 Who will be first with a chrome tank and a big bore kit?